up until now this year has been a very difficult one for me. I went through many changes, both physical and emotional, and I feel I need some time off, so this is going to be the last post for August 2012. I wish you all Happy Holidays!! 2. Beat butter and sugar until light and fluffy. Add egg yolks, one at a time and continue beating until well combined. 3. With a wooden spoon combine flour, corn flour, baking powder and hazelnut into the egg mixture. 4. Beat egg whites into meringue and combine with the egg/flour mixture. 5. Divide mixture into two round pans (24cm each), and bake for 25 minutes. 6. Allow to cool completely before decorating. Found you through the Blog Hop Recipe Swap so basically I came for the chocolate chip cookies and stayed for the Hazelnut Cake. Followed you! I hope everything is ok hun. Everyone needs some time off...i look forward to your return. Please send me your address here in the states so i can have this box shipped out in the next couple of days. Oh my gosh my three favorite ingredients, and I LVOE Cake! 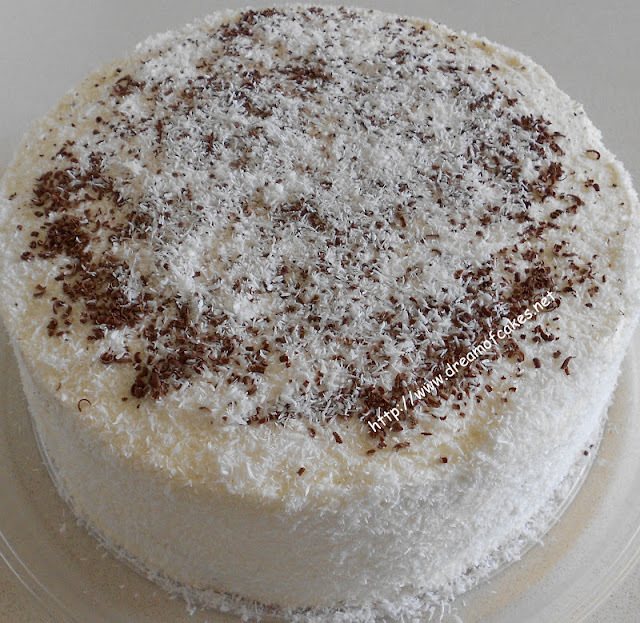 Lovely cake Eftychia. I love anything with coconut. I am also taking a break from blogging. Καλή ξεκούραση! This is one spectacular cake, Eftychia...so beautifully done. Hope the time off brings you some peace...thinking of you, my friend. I so much unquestionably will make sure to don? Thank you so much for visitng my blog and sharing your comments, means a lot to me! I'm a huge fan of having nuts in my cake...and hazelnuts definitely have a wonderful flavor in anything baked. 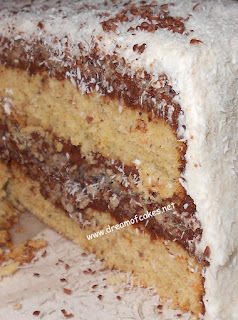 This is like a dream cake for me, with hazelnuts, chocolate n coconut...all my fav!! Hoping you'll be back to blogging soon. I am sorry times have been trying, but I wish you a peaceful and recuperating break from it all.